There is something so unbelievably satisfying about making French Macarons, and actually succeeding in all the little details that make this cookie so delicious and mystifying. The foot…the shell, the color, the texture, the correct filling…they are pretty much the most beautiful/unique/adorable cookie ever. I don’t even know how they qualify as a cookie. They are so much more. 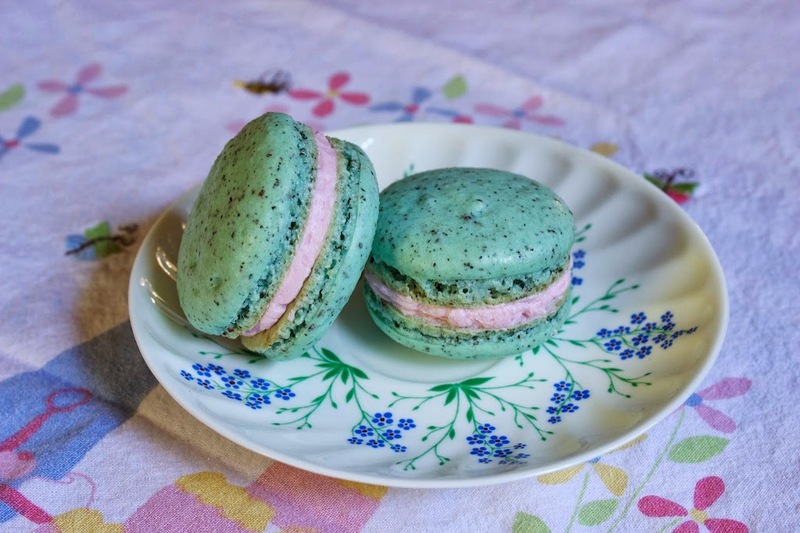 I made French macarons at the bakery I worked at a few summers ago pretty often, so I was able to learn the process fairly well. But it had actually been over a year since I last made these lovely little treats. 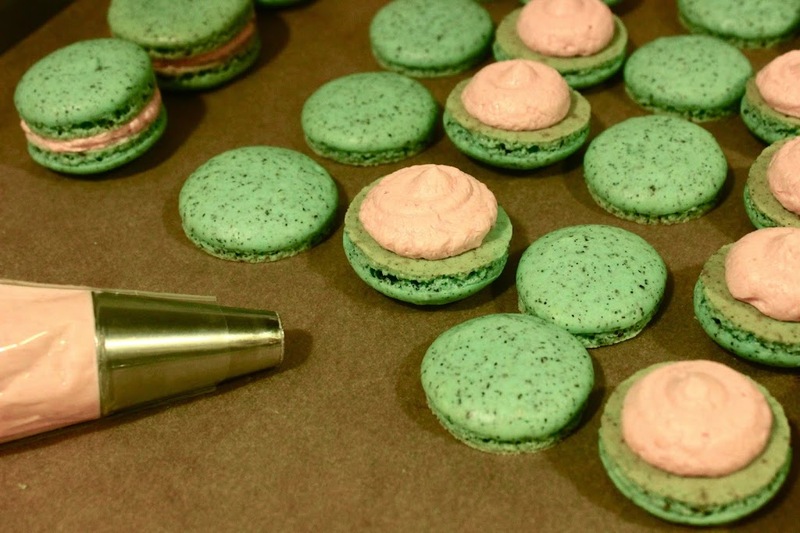 I almost get anxiety when I think about making macarons. They are such a shame to mess up, but when they come out, there’s nothing like them! Being so close to the French border when I lived in Spain last year, I took a few day trips to adorable little towns in the south of France. Man oh man did my friends and I take full advantage of all the amazing food opportunities. Pastries, cheese, wine, and of course macarons! I nearly had a heart attack when I first saw the vibrant and beautiful macs in the window displays of the French shops. That was my number one goal in going to France: Macarons. ALLLL the macarons. Needless to say, I love em. This recipe can be adapted to whatever tea you’d like to use (but I recommend sticking to flavored black teas). Such a unique flavor combination, and they really work together. The Creative Cookie Exchange theme this month was Coffee or Tea to wake up from winter so I thought these macs would go perfectly. Another wonderful thing about these guys, they are so versatile! Combos of all sorts of flavors and colors. DOOO it. First grind up your tea in a food processor until it is fairly fine. Transfer to a medium mixing bowl, and then pulse the ground almonds in the food processor as well. Sift the ground almonds and powdered sugar into the bowl with the tea in it. Whisk together all the dry ingredients until everything is entirely incorporated. In the bowl of a stand mixer (make sure it is very clean AND dry) with the whisk attachment, beat the egg whites on medium until slightly foamy. Add the granulated sugar, and beat until soft peaks form. Pour the dry ingredients into the egg whites and carefully fold it in with a rubber spatula. Do not overmix! The batter should now be slow moving and should sink back into itself after 20 seconds or so when you move it around. Line two baking sheets with parchment. Using a regular round tip, pipe the batter onto your baking sheets in small circles. Once piped, knock the baking sheets onto the counter to get the air bubbles out. Preheat the oven to 300 degrees and let the piped cookies sit out to form their outer shell for about half an hour. Bake for 10-12 minutes. Let cool on a wire rack. Make the buttercream the exact same way as the Aunt Sassy Cake from Baked, or my Salted Caramel Chocolate Cupcakes. Add the salt, rose water and food dye after the honey. I usually go through all the cookie halves and find them their size/shape matches. Then pipe the buttercream onto your cookies with a regular round piping tip (about a teaspoon), and sandwich them! There they are. So cute. So lovely. I almost don’t want to eat them cuz they’re so perrrtyyy! But they’re also just SO worth it. I promise, you’ll be hooked. 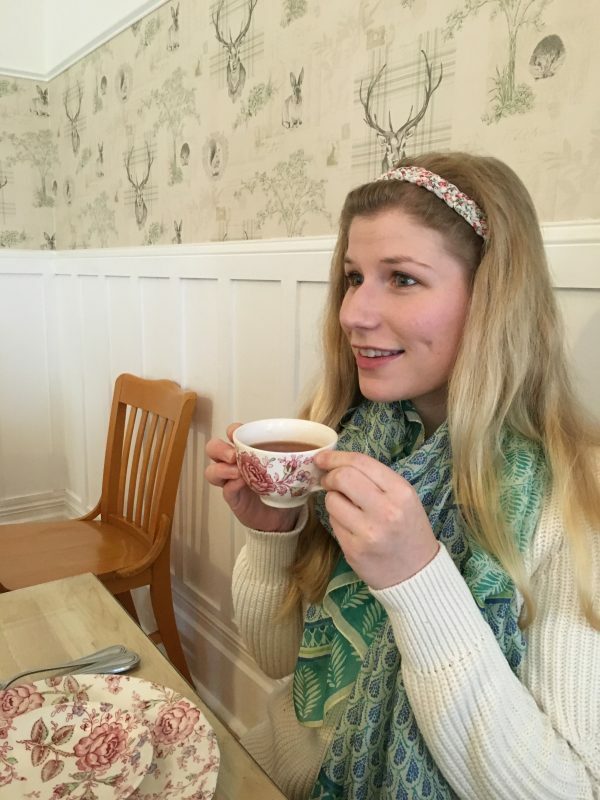 The theme this month is Wake from Winter with Coffee and Tea–because unlike last month, now our Spring Fever has some basis in reality! 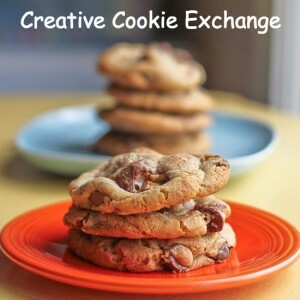 Creative Cookie Exchange has decided to stop using the linky. What this means is that the only way to join in the fun is to become a host. Just contact Laura at thespicedlife AT gmail DOT com and she will get you added to our Facebook group, where we discuss our cookies and share links. Matcha White Chocolate Cookies from It’s Yummi! Well done Sophia your macaroons look perfect! 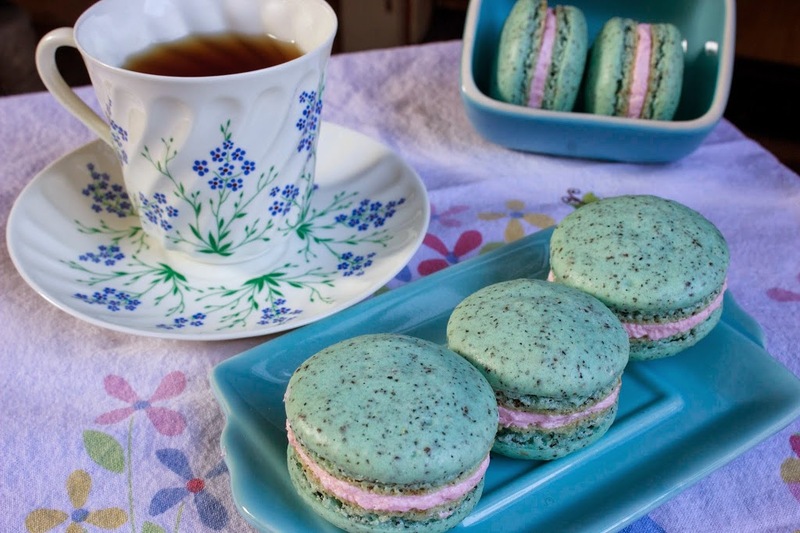 and the combination of tea and honey rose buttercream sounds so delicious! Gorgeous!! 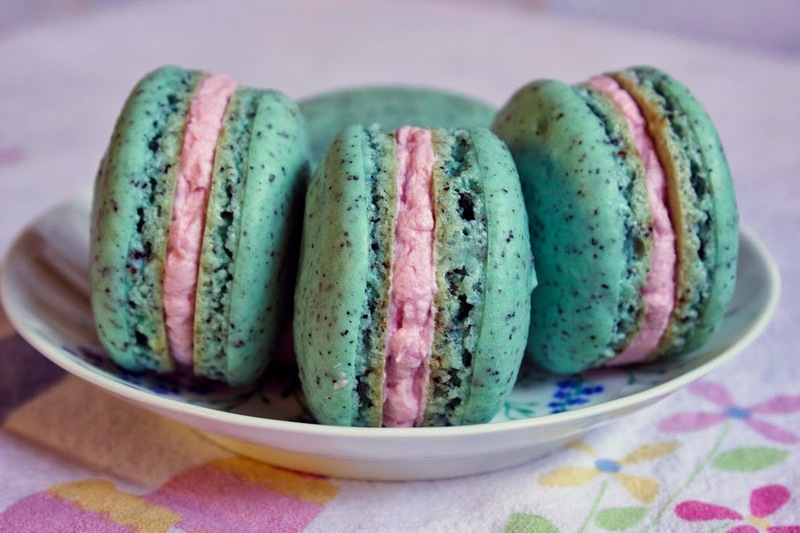 I am a beginner when it comes to macarons and love the colors and flavors in yours. So pretty! These are absolutely fabulous, Sophia! 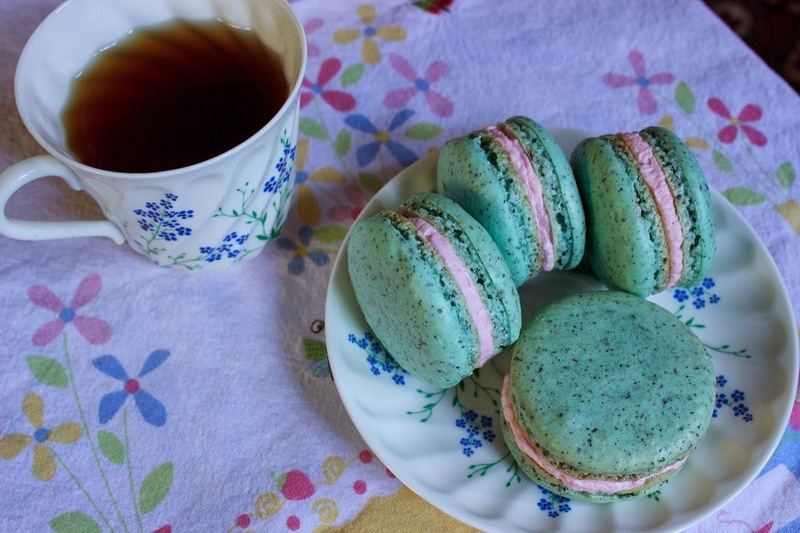 Macarons are on my bucket list of things to try. Pinning this on my Recipes to Try. Thank you for the encouragement! Thank you Stacy! Definitely try them! 🙂 I can’t stress how wonderful it feels to make them! 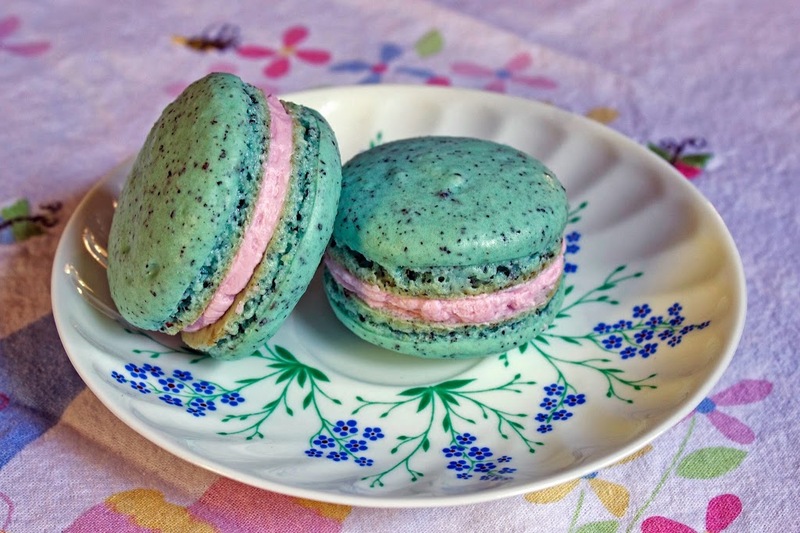 How pretty are your macarons and so impressive. Something that I really want to make one day, thanks for sharing!!! Your Macarons look so very good, I bet they tasted great also. Thanks Karen! Ha, I know… Such a suspenseful feeling, but when they come out it’s the best feeling ever! These look so delicious!I want to eat one! 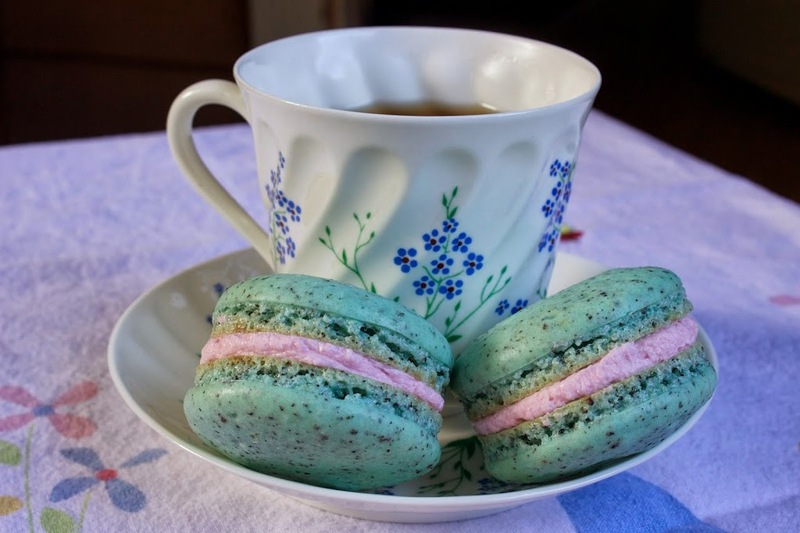 I’ve also seen Earl Grey Macrons with a salted caramel filling. These are so beautiful! 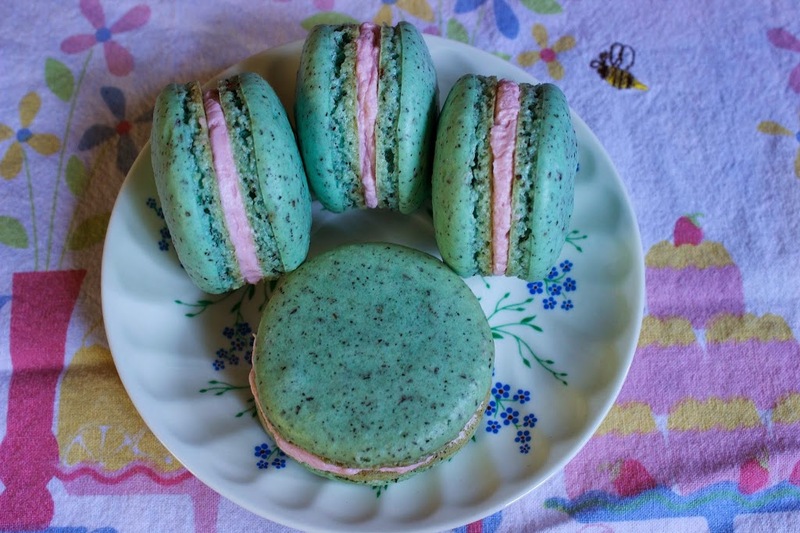 I love making and eating macarons and need to give these a try! Pinning! 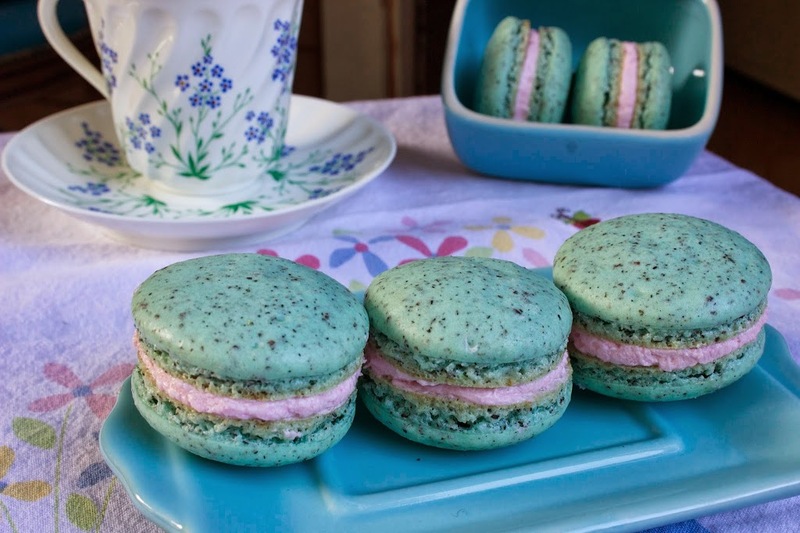 Well I certainly know who to come to when I need a lesson in making french macarons – these are perfection. The colors are stunning and the flavors sound amazing. 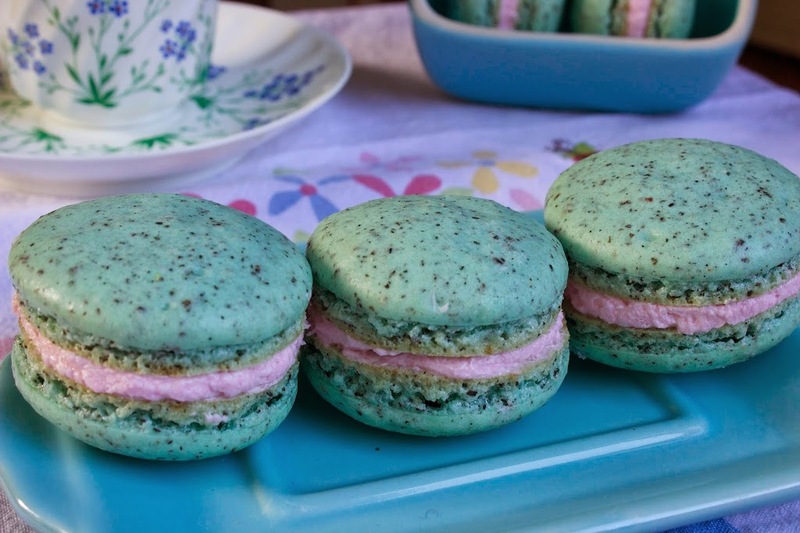 Seriously, I don’t think I’ve seen a more perfect cookie for spring. Wow. Just WOW! 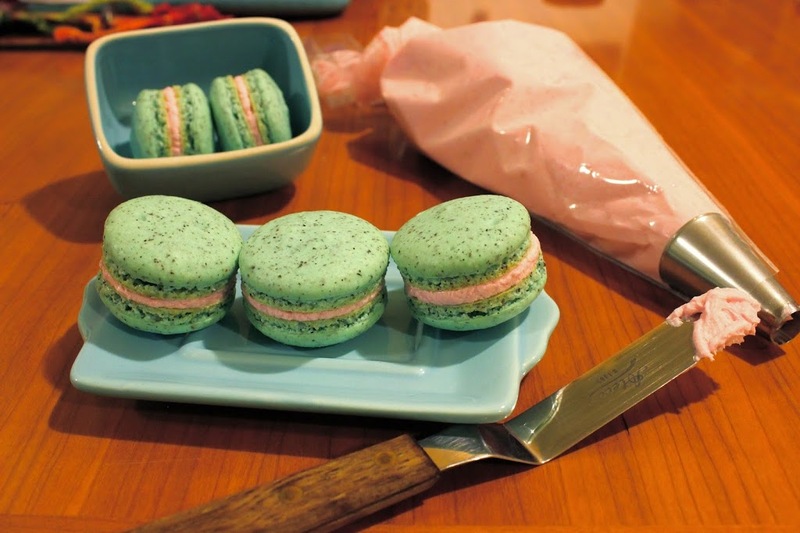 Your macaroons are perfect, love the different colors between the pink buttercream and the green of the macaroon.